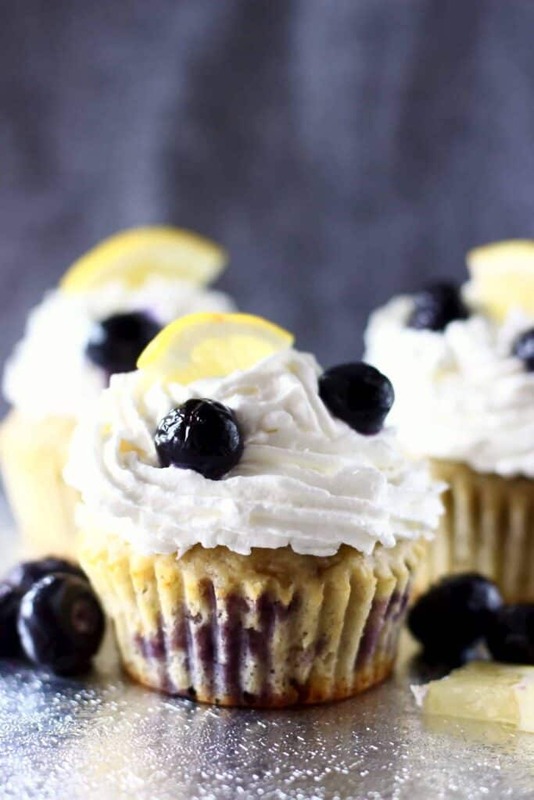 These Gluten-Free Vegan Lemon Blueberry Cupcakes are moist and fluffy, sweet and fruity and slathered in a delicious “cream cheese” frosting! An adorable dessert to suit lots of occasions. making a load of cupcakes for an event or occasion can be easier than making one giant cake! 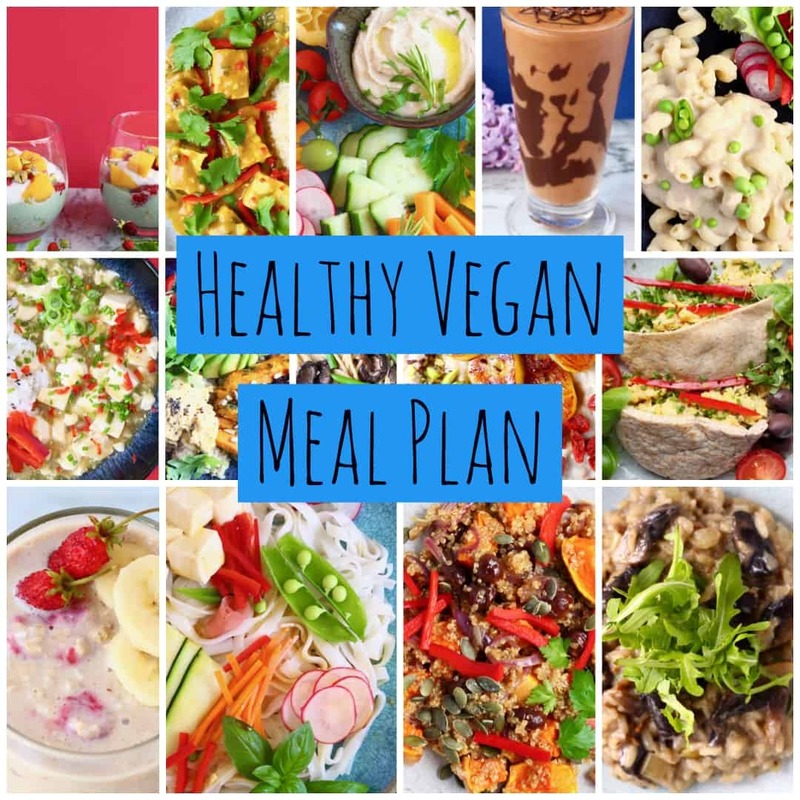 These cupcakes are honestly undetectably vegan and gluten-free, as well as refined sugar free and relatively healthy too. 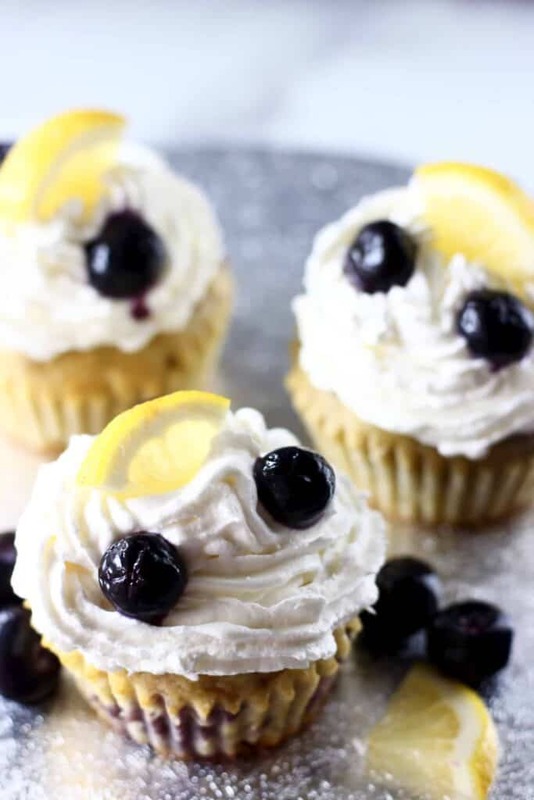 The recipe for these cupcakes is made using my go-to sponge cake recipe: it requires just a handful of simple ingredients, one bowl, and is easily customisable. 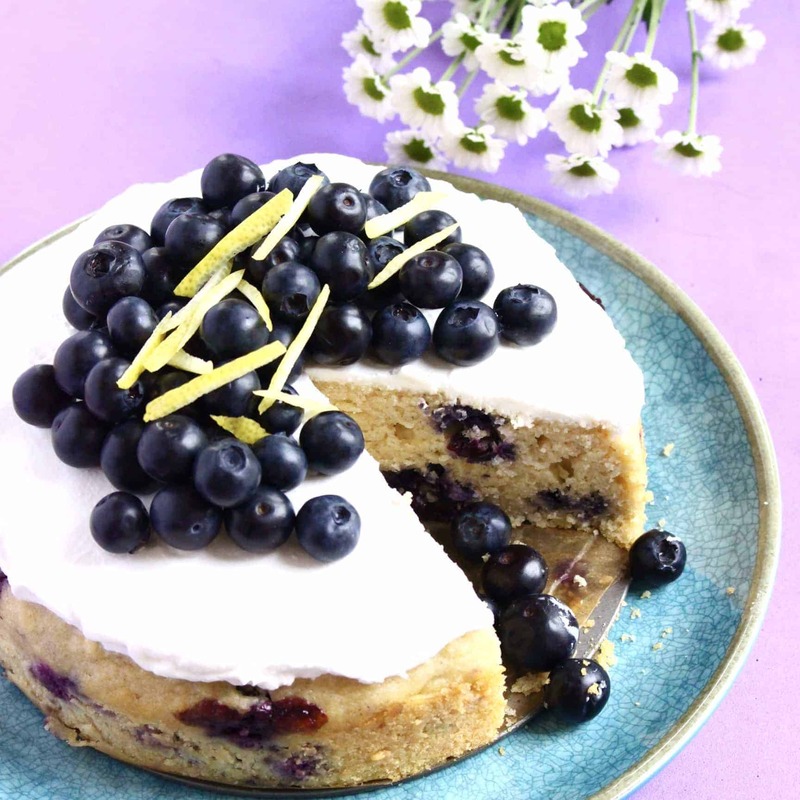 The batter is enhanced by zippy lemon juice and zest, and dotted with juicy, jammy blueberries. For the frosting, you can use a cashew-based buttercream, but my favourite choice for these cupcakes is a vegan “cream cheese” frosting. My fool-proof vegan cream cheese frosting is made using coconut whipped cream, tart and tangy lemon juice and maple syrup for sweetness. Make sure the cupcakes have cooled completely before applying the frosting, otherwise the frosting will melt. This frosting recipe yields a medium-sized amount of frosting per cupcake. 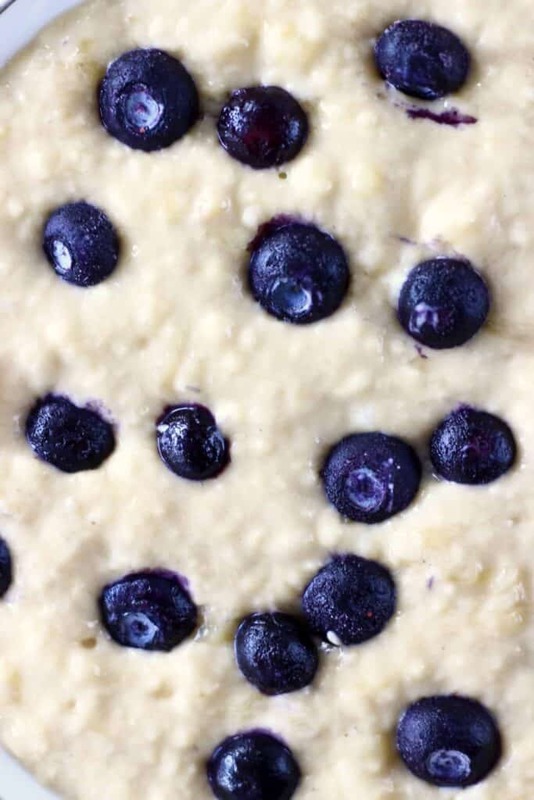 However, if you do want to apply a more generous amount of frosting (like in my photos), I’d recommend doubling the amount of frosting that I’ve listed in the recipe. 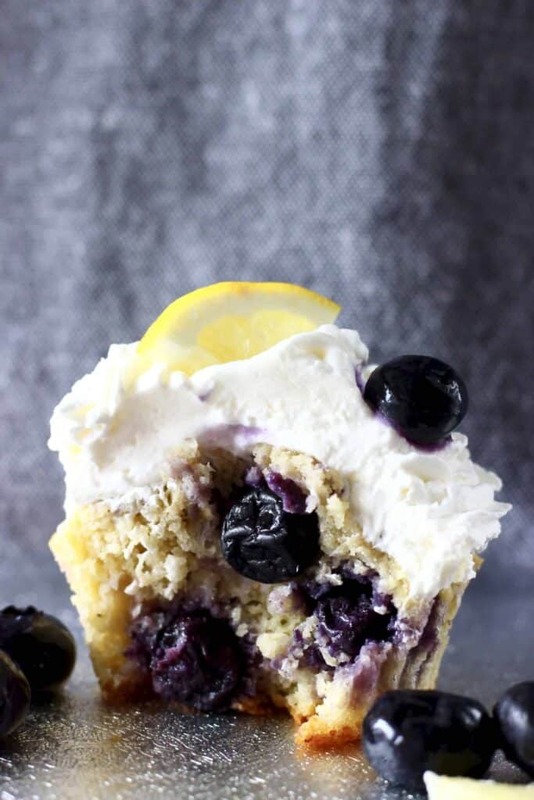 How long do these Gluten-Free Vegan Lemon Blueberry Cupcakes keep for? Although these cupcakes do taste best when fresh, they do keep well covered in the fridge for up to a few days. 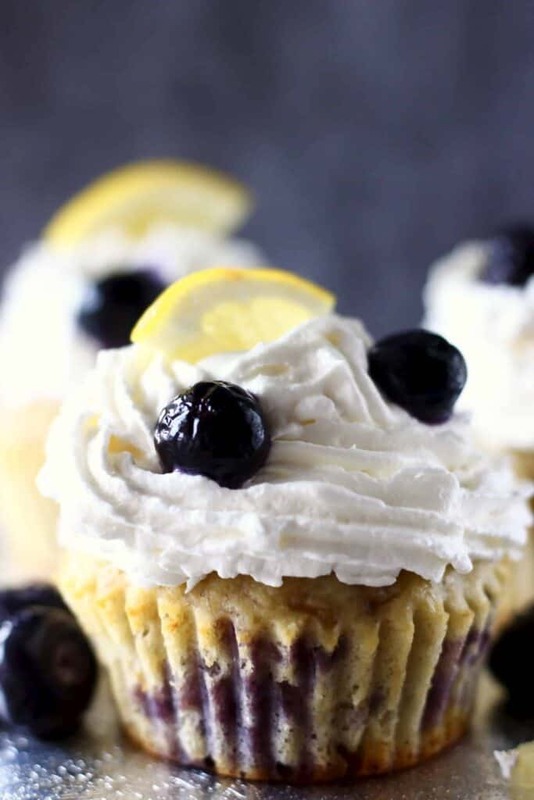 For super fluffy frosting, you should make it fresh just before serving, but frosted cupcakes will retain their shape and texture for a good few days. 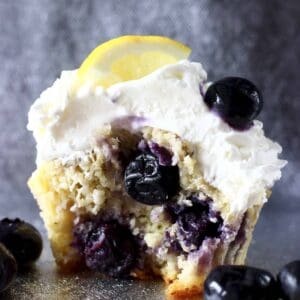 These Gluten-Free Vegan Lemon Blueberry Cupcakes are moist and fluffy, and slathered in a delicious “cream cheese” frosting! You’ll need to keep your tin of coconut milk in the fridge overnight for the rich creamy bit to separate from the watery bit at the bottom. Make sure it is full-fat coconut milk, otherwise this separation won’t happen and you won’t be able to make this cream! **This frosting recipe yields a medium-sized amount of frosting per cupcake. However, if you do want to apply a generous amount of frosting (like in my photos), I’d recommend doubling the amount of frosting. Hi. Would these work without lemon? 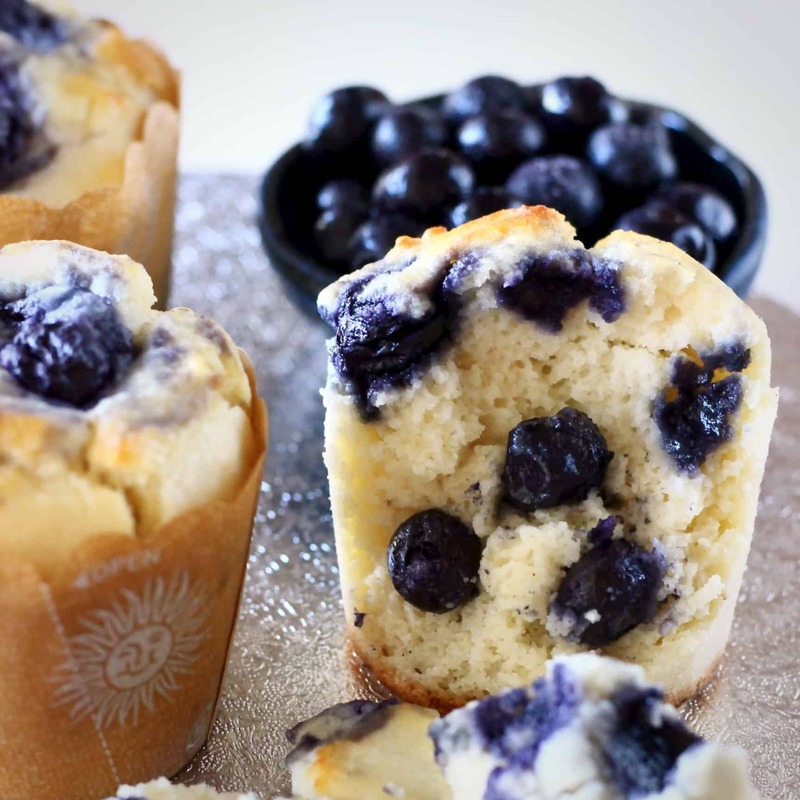 Just blueberry cupcakes. 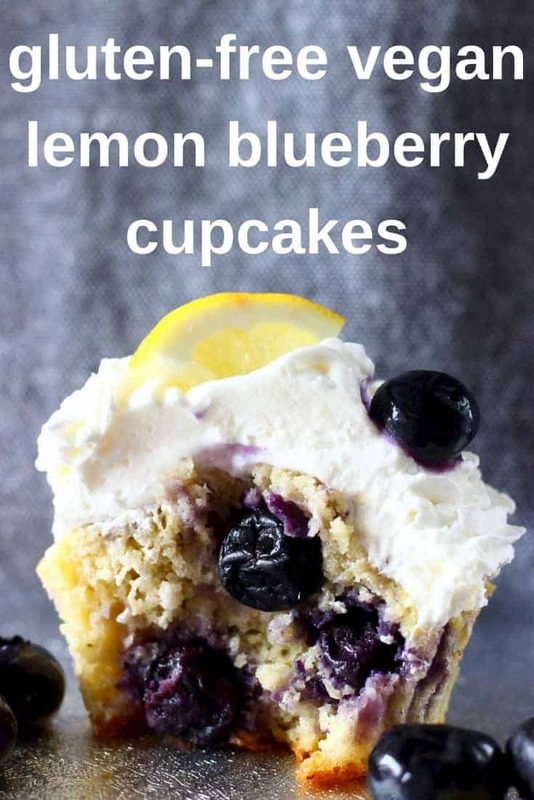 My daughter is allergic to citrus, but wants blueberry cupcakes. Yes will work without lemon! 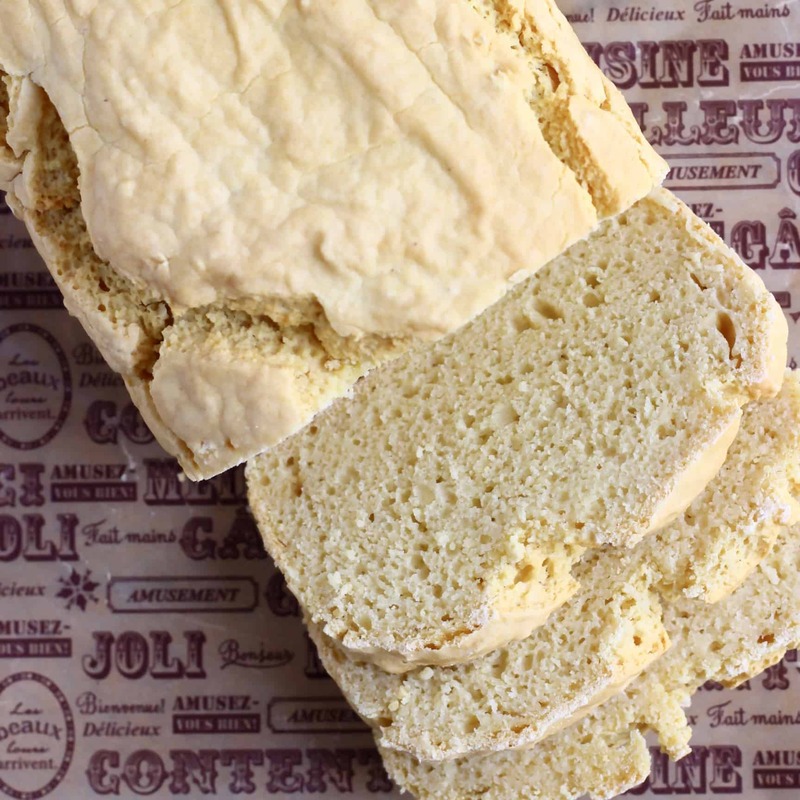 Just add a tablespoon of apple cider vinegar to the batter for a bit of acidity as that’s necessary so that it causes a reaction with the bicarbonate of soda (baking soda) and the sponge becomes fluffy! 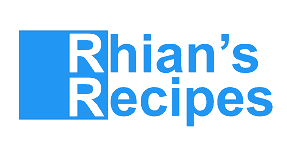 Hi, I wanted to make sure I am reading the recipe correctly. I can use almond flour AND gluten free flour?